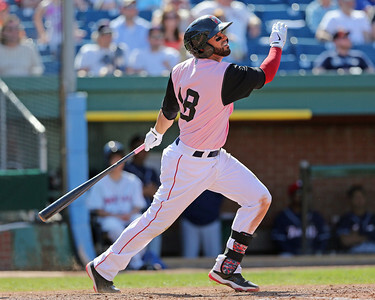 It was another good week for members of the Portland Sea Dogs as Deven Marrero and Henry Owens took home SoxProspects.com Player and Pitcher of the Week honors, respectively. Marrero piled up the hits last week, recording a hit in each of the seven games he played and multiple hits in four of the seven, going 3 for 5 with a triple on June 16, 3 for 4 on the 17th, 2 for 2 on the 21st, and finished the week going 3 for 4 on the 22nd. He was also named Eastern League Player of the Week for the same period. Marrero is currently the ninth-ranked prospect in the organization by SoxProspects.com. The big lefty took to the mound June 20 against Altoona (PIT), cruising easily to his ninth win in fourteen outings on the season. This is his fourth SoxProspects.com Pitcher of the Week win in 2104, having previously won for April 3-6, April 7-13 and May 19-25. 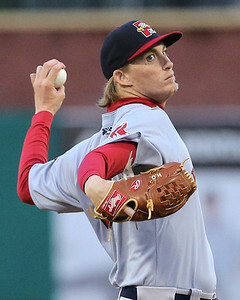 He is currently the second-rated prospect in the organization by SoxProspects.com.